We’ve all been forced to work for companies that consider laughter to be one of the seven deadly sins of business. It’s an attitude dating back to our time in school when we’d laugh at the class clown thereby disrupting the lesson plan, and so has long been considered a sign that focus is lost. As a result, many of us enter the workplace with a very serious and driven attitude, terrified of upsetting our boss for, heaven forbid, having fun without permission. 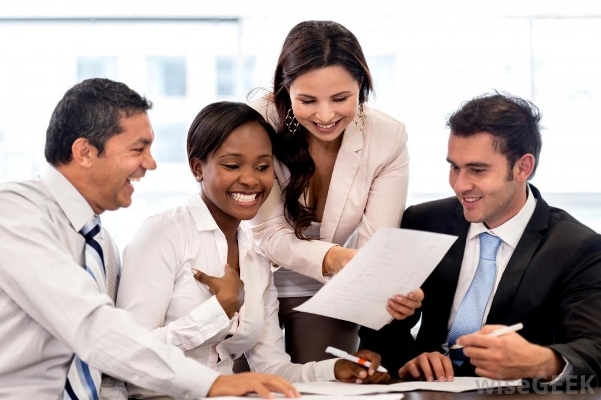 Times appear to be moving on though, with many employers realising that a little laughter between employees does not mean their concentration and productivity has dipped to an unacceptably low level. The great leaders of today recognise that people perform better when they’re relaxed and able to connect to their colleagues with humour, because barriers break down between ranks in the company, trust is built, and when stress levels are at their highest, the tension can be broken by a well-timed anecdote or casual quip. It’s amazing really that it’s taken so long for people to connect fun activities and good humour with an increase in productivity, but it’s one of the essential ingredients. Especially in this day and age when creativity and innovation go hand in hand. People who are too stressed or don’t feel comfortable around the people they are meeting with, won’t have the confidence to throw potentially brilliant ideas out there for consideration. Or perhaps they will, but the idea is lost in a waffling explanation fuelled by nervous energy and fear of rejection. By contrast, when you’re in an office that embraces humour and fun, people naturally relax, feel at ease in the situation and ideas flow. Don’t even get me started on the benefits laughter has to learning. The lessons we hated at school were the ones that bored us to tears, and it’s the same in the workplace. If you’re mind-numbingly bored of your job, the people you work with and the environment you’re subjected to; you won’t learn as quickly. Ask any psychologist and neurologist and they’ll happily list all the reasons why an emotional reaction triggers remembrance more than a cold list of facts without any context. Of course, a happy office and a boss who encourages us to laugh can only do so much, when we’re already river deep in paperwork and forgot to pack a snorkel. Many of us don’t laugh in the work place these days, because we’re too distracted to do so. Physically we’re in the office plugging away at facts, figures and strategies, but mentally we’re all over the place – at home with the bills, distracted by SMS and Email notifications, going over an argument with our partner. Laughter becomes a casualty of bustling, busy lives. Which is why a boss’s relaxed attitude to your working environment is only the first step. The rest is up to you. Find reasons to laugh as often as you can, work hard, and you’ll see a noticeable improvement in your weekly life. Who knows, maybe you’ll even feel less exhausted in yourself – laughter’s a mysterious remedy that cures all manner of ills. Take part in Laugh at Work Week from 1st April through 7th April.